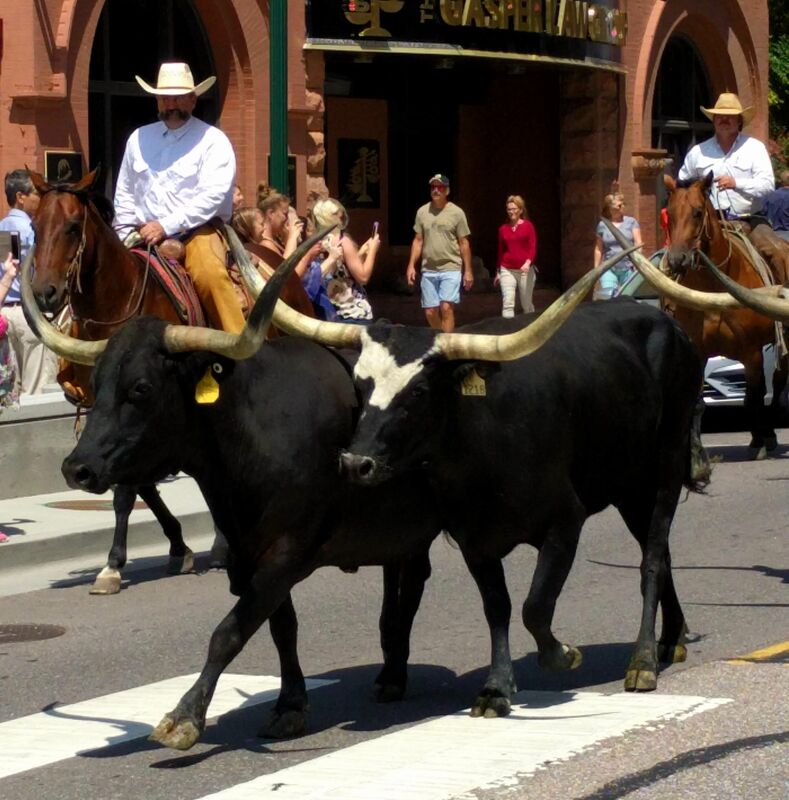 I had ended up downtown at the terminus of the annual cattle drive through town. It always starts near the private college and ends at the former county courthouse, which is now a museum. 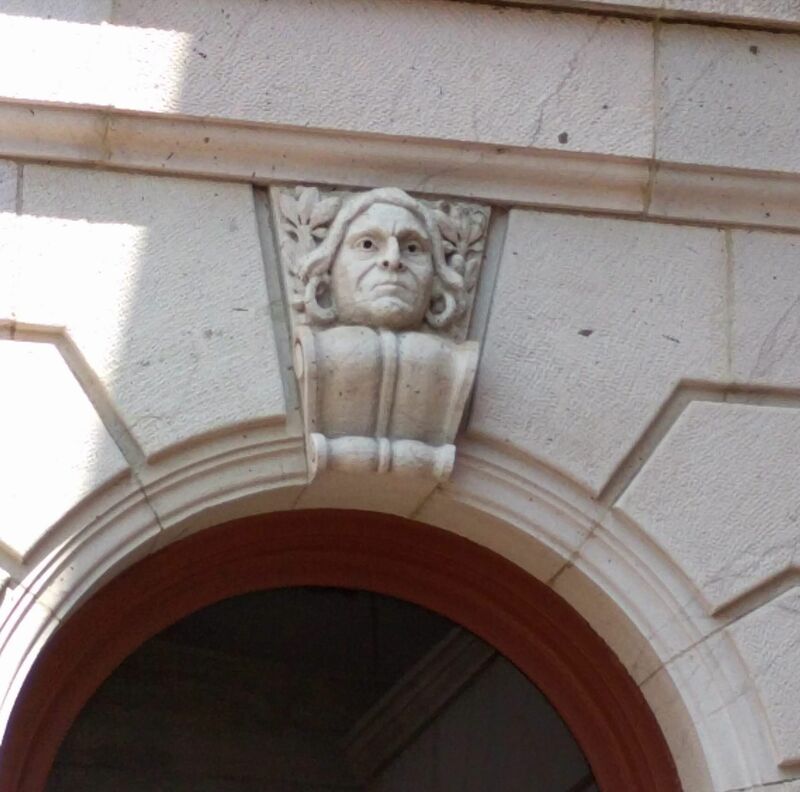 I had always noticed the large faces on the facade, there is a Native American (also known as Red Indians in the UK) over each of the large windows in the place. 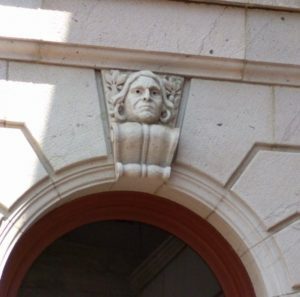 These faces don’t look to be too pleased with the goings on in the building, but perhaps that is only fitting. 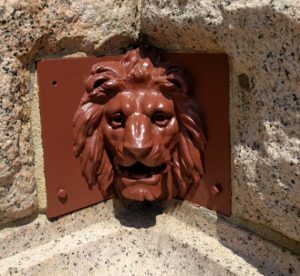 The animal kingdom is represented by this lion’s head. 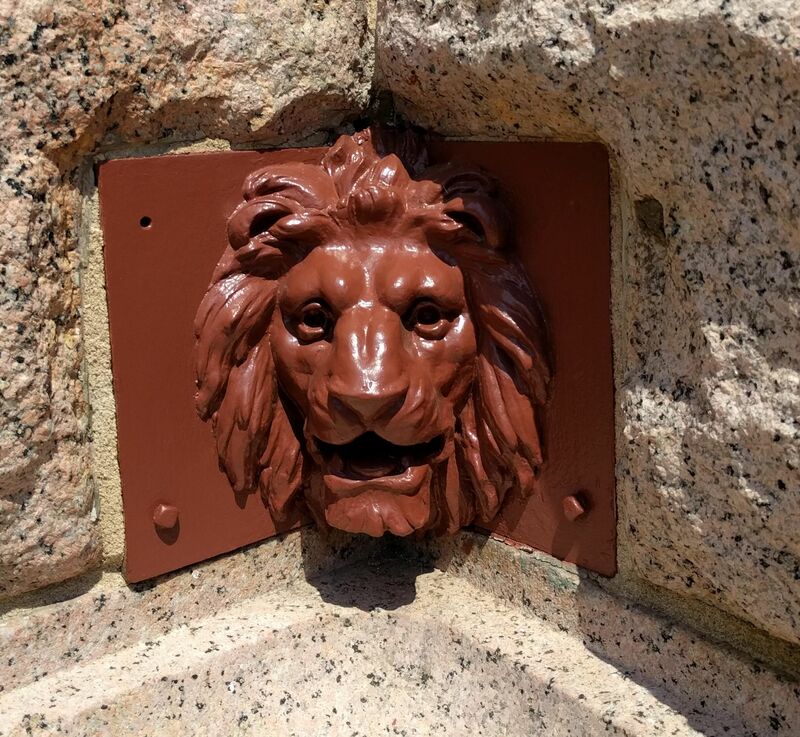 He would be part of a fountain, if only the water had been turned on. The intermediary between man and beast can be seen in the base of this light pole. 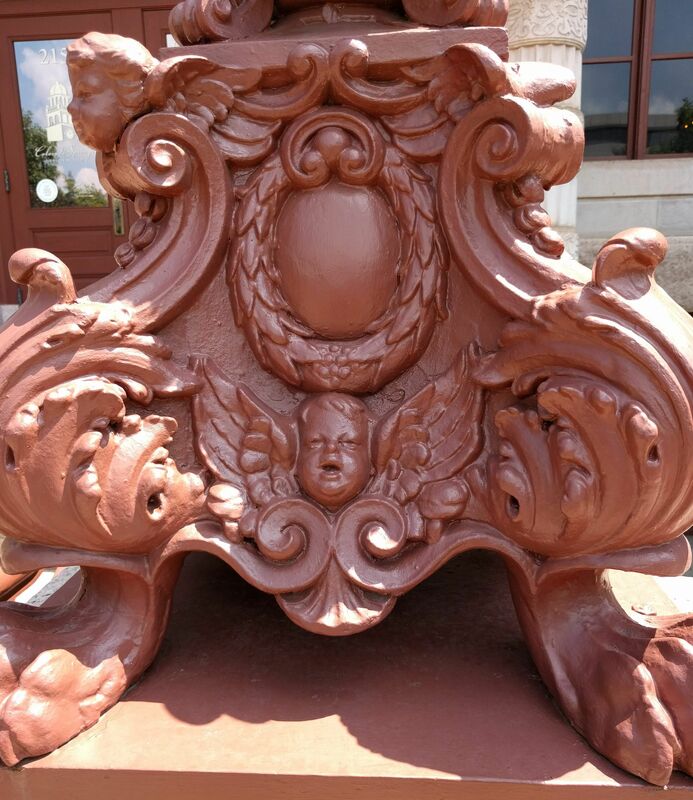 With cherub faces and lion feet, one wonders, ‘what on earth was the artist thinking’? 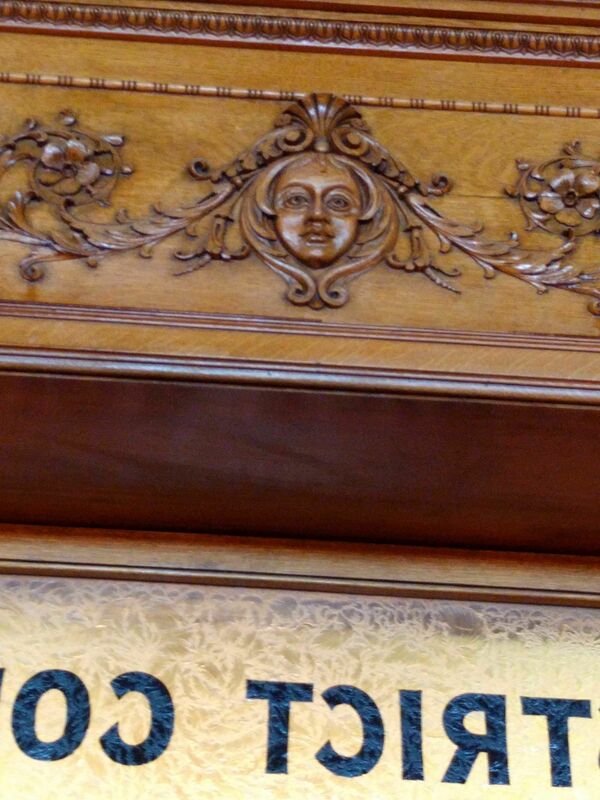 This woman is just part of the woodwork in this former district courtroom, but she appears to be happy about it. Unlike the previous sculpted faces, this figure is painted and shows the entire body. And what exactly the figure means is rather enigmatic. 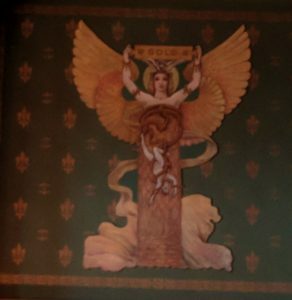 She has wings (is she an angel? ), she is holding a banner labeled gold (representing Fortune perhaps? ), and has a dangling, trussed up person in front of her (no idea what so ever). 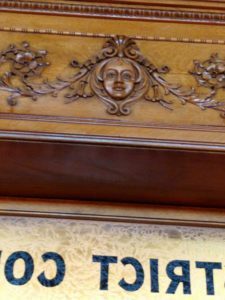 The more usual figure of blindfolded Justice holding a sword and a scale is nowhere to be seen in this courtroom. Perhaps this is an allegory of how our local justice system works.